Faisal Islam has left Channel 4 News. This is an archive of his blogs. If you are part of the army of people condemning Benefits Street without watching it, here are 10 things that you missed and four million people saw. Plastic cash and shorter dole queues – the British recovery? 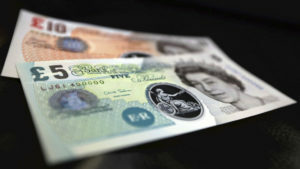 As unemployment falls to 7.4 per cent, near the 7 per cent threshold the Bank of England governor said would lead to a cut in rates, Faisal Islam looks at the figures – and the new plastic banknotes. As the battle builds between supporters of an expansion of Heathrow and those who want a “Boris Island” in the Thames Estuary, Gatwick’s expansion plans have been largely overlooked. Official: last year’s terrible housebuilding stats. Why? A green field in Northern Hertfordshire – a beautiful rural scene straight out of EM Forster? Or would it be made more beautiful by thousands of smiling happy families in shiny new homes? For the first time the IT expert who took details of tens of thousands of client accounts from Britain’s largest bank tells his full story. As a nation we undervalue education – perhaps not of our own children, but of other people’s. Yes, there are statistical issues with Pisa, but the relative direction of travel is abundantly clear. The move to cap the amount payday lenders can charge is an extraordinary one, and a sign of stronger state-intervention in business. Uncertainty over Britain’s commitment to the European Union is already impacting on investment decisions for new HQ facilities and thousands of jobs, Goldman Sachs’ most senior banker tells Channel 4 News. Channel 4 News gains an exclusive insight into Goldman Sachs, and the scheme that teaches small businesses to be imaginative and think big. The figures in today’s Treasury benefit cost ratio of HS2 are both positive and spuriously exact. But don’t be fooled – this is a political rather than an economic project. Ed Miliband’s cunning and unconventional gambit is offering a seeming solution to the public, and the Coalition is debating its response. Today’s GDP numbers are not the highest under George Osborne’s chancellorship. But they offer the possibility that confidence and investment will trigger a virtuous spiral in the Uk economy. 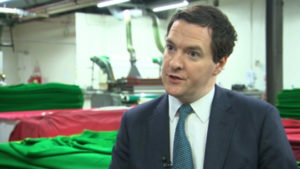 Chancellor George Osborne tells Channel 4 News “there is real momentum in the economy” following the publication of official figures showing that growth is rising at its fastest rate for three years. 135,117 – the next time you hear a politician, any politician, talk about the cost of living, think about this number. Why? Because it marks the lowest point in UK house-building in nearly 100 years.